Hvar Island just off the western coast of southern Croatia is quickly becoming one of the most popular holiday destinations on the Adriatic. In recent years the stylish towns have played host to a range of famous names including Tom Cruise, Roman Abramovich and even Prince Harry. If you choose to follow these iconic names for a holiday away, you won’t be short of things to do in Hvar, this fantastic Island has much to offer any tourist. 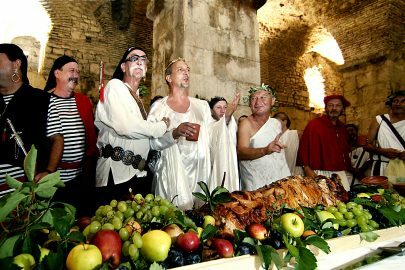 Things to do in Hvar Town. One of the main tourist locations on the island is that of Hvar town. One of the westernmost points of the island the town has much to offer visitors inside the city walls. 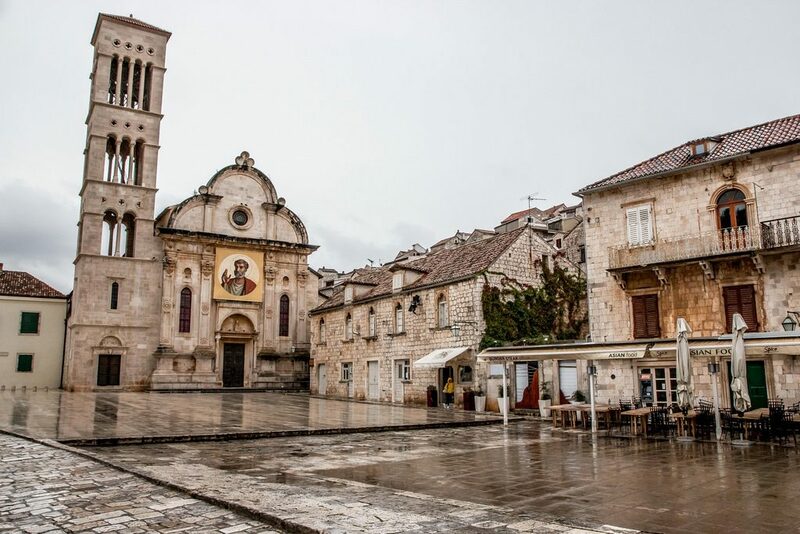 Fortica is one of the most iconic landmarks in Hvar. Sitting high above the town the fortress offers spectacular views far out over the harbour to the smaller Pakleni Islands close by. The Citadel to the fortress is thought to have been erected in the 6th Century with the remainder built in stages at later dates. Once out of the city walls the sweeping walk up to the fortress is one to be enjoyed building up to the view from the top you will remember for a lifetime, it also makes some good pictures to show friends and family! 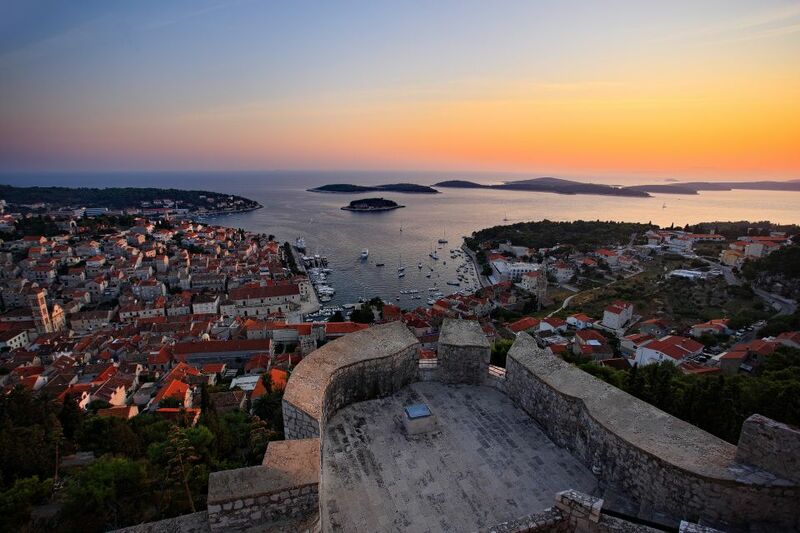 After enjoying the view from the fortress above we would recommend a sunset walk through Hvar harbour. Often filled with luxury yachts and quaint fishing boats, you can easily lose yourself in the surroundings of the promenade. Just away from the harbour, you will find St Stephens square, the largest on the island. At the top of this stands the impressive St Stephens Cathedral. The iconic attraction built in the 16th & 17th centuries sports an interesting bell tower with an additional window on each tier, giving an oddly top-heavy appearance. 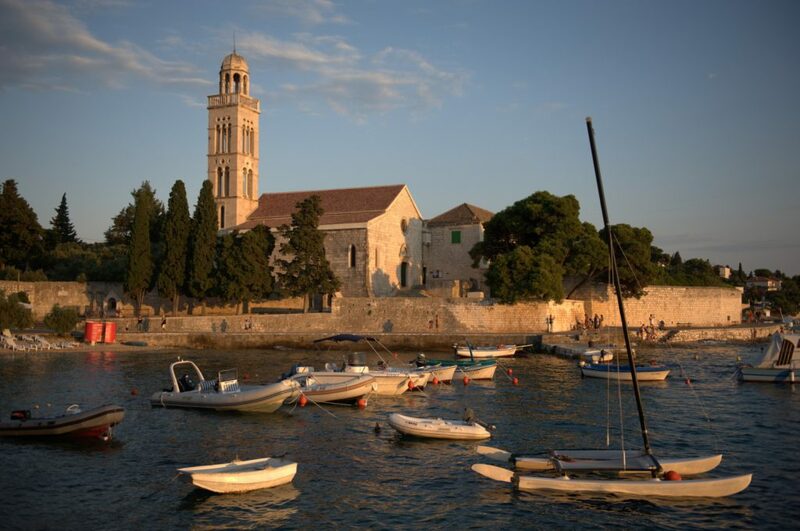 Overlooking a small cove, the 15th-century Franciscan monastery has an elegant bell tower, built in the 16th century. While this may not be such an attractive location to many the monastery does hold an 8m x 2.5m painting by Venetian, Matteo Ingoli of The Last Supper dating from the 16th century. 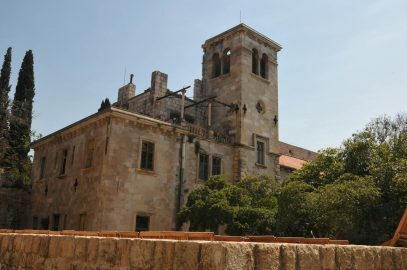 The adjoining church is dedicated to Our Lady of Mercy and contains more paintings and artwork from the island’s history. Outside of Hvar Town on the northern side of the island Stari Grad, meaning “old city”, is likely to be your first stop if arriving by ferry from the mainland. Standing as one of the oldest towns in Europe, it has much to offer tourists but is often overlooked as people seek to reach their destination on the island after a long travel. Stair Grad is a much smaller and calmer place than Hvar Town and as such offers a more relaxed feel. 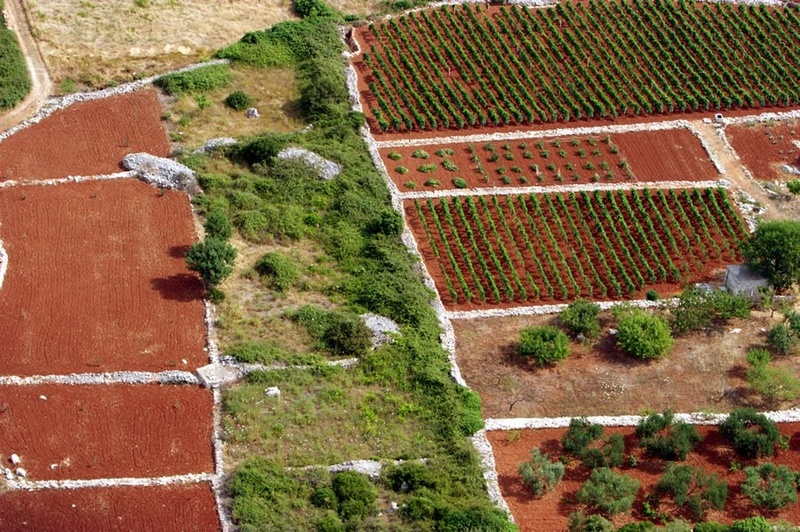 The Stari Grad plains are an archaeological cultural landscape which has surrounded the town since the 4th century. First used by Greek inhabitants because of its fertile land this expanse has grown to provide grapes and olives for centuries. On the plain visitors find longstanding stone walls and small stone shelters separating areas of land. If there isn’t anything on this list to tempt you to visit Hvar, don’t be put off. The island has far more to offer including stunning ocean view villas. 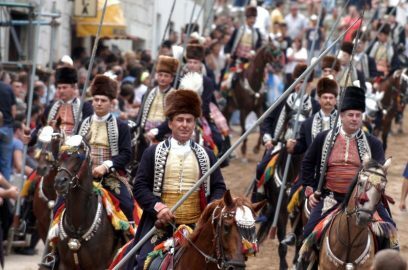 If you know of any other interesting places to visit on Hvar island that we haven’t mentioned, get in touch and tell us why it should be included for tourists to Hvar Island to read about.